Lincoln loves to watch TV, just like Dad! I'll be sitting with him on my lap trying to talk to him or get him to smile at me and the little stinker will try to turn his head as far back as he can to get a glimpse of the TV. I should start to turn it off more during the day. Lincoln LOVES his Grammy. My mom has been so good to us over these last 3 months. We are really blessed to have her in town now. Trav and I love going over to her house in the evenings. Lincoln is a really content baby and easy to settle when he is upset. But evenings he does get a bit more agitated. It's nice that my mom will rock him and Travis and I can have an hour or so to curl up on the couch together. I totally admit to not taking pictures of my baby when I don't have good lighting! I don't really do it intentionally. I think I've just trained myself to look for good light and know that makes a good image. So we haven't taken a single photo after dark and that means not a single bath photo. oops. 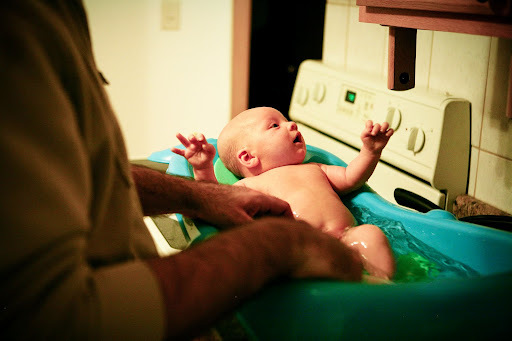 Granted, Lincoln's first month of baths were with Mommy (no one needs a photo of that!) I was starting to feel a bit guilty so got out my camera and did some tub shots. Then spent WAY to much time trying (unsuccessfully) to color correct the pictures. I'm learning to let go... slowly. I was in a bible study last summer with a neat group of women who were mostly older than my mom. You can learn a lot from older generations! They had a beautiful shower for Lincoln after he was born. 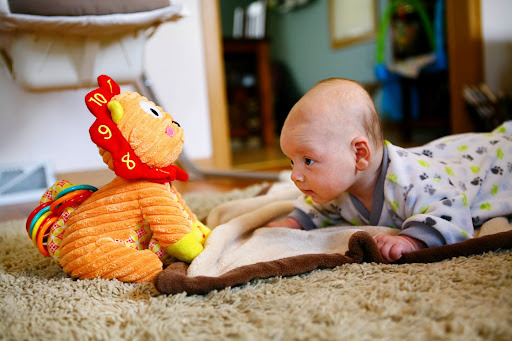 He received this really fun counting lion as a gift from one of the ladies. He loves it! I wish the song lasted longer than 15 seconds, I'm constantly pressing it's paws for another round. And a photo from Valentine's Day that I realize I'm a little behind on sharing. I'm wondering... when do I need to stop saying "I just had a baby" or "we have a new baby in the house" as an excuse to not getting around to things very fast?! Avery will be 3 on Sunday, don't worry, there is always a stage or phase to blame non productivity of:) I can't help but notice the lack of mention of your fur baby.....how has Mowgli transitioned??? Love your "everyday" pics! precious, precious, precious!! I just eat up every picture you put up of little lincoln... thanks friend!!! He just keeps getting cuter! Also, Clara is 8 months old, and I am for sure still using that excuse. 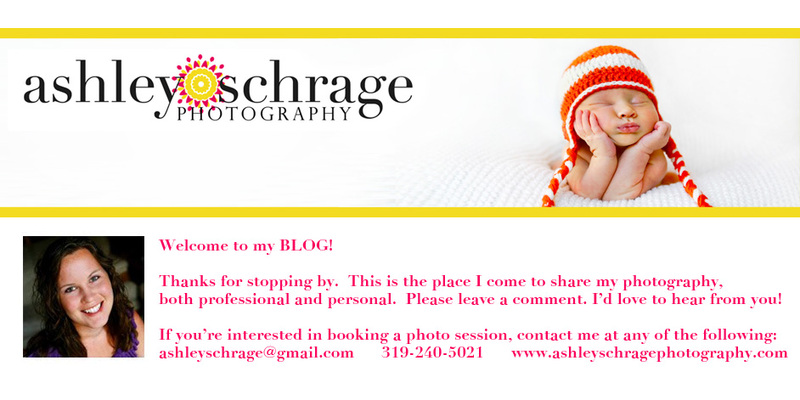 Thanks for sharing the pictures! Haha, love your comment about "letting go" on the light and photo edits. You are so cute Ashley. 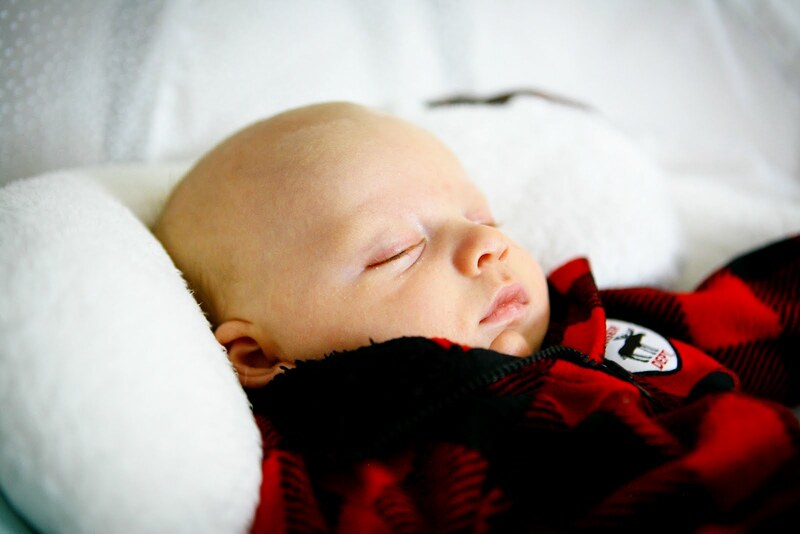 Hey Colin is 15mos and I still use the "new baby" comment, it never gets old :) Great pics as always! !